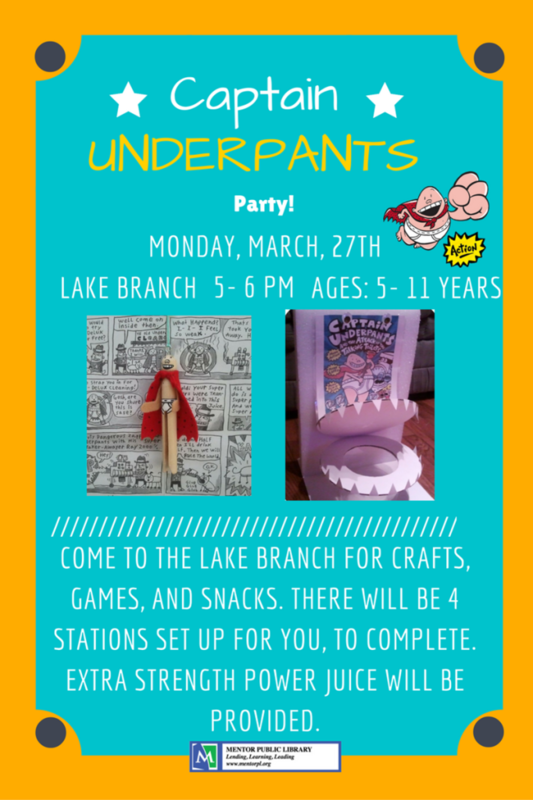 We’re throwing a Captain Underpants Party at our Lake Branch and you’re invited! Kids from five to 11 years old can make crafts, play games, and do battle with Professor Poopypants. We’ll also have our super name changer handy, so kids can find out their nom de underpants. And kids can sip on some extra-strength power juice, so they don’t get pooped. The party starts at 5 p.m. on Monday, March 27. The fun is free and open to all, but we do ask that you sign up beforehand. You can RSVP online or by calling us at (440) 257-2512. Tra-la-laa! See you at the party! 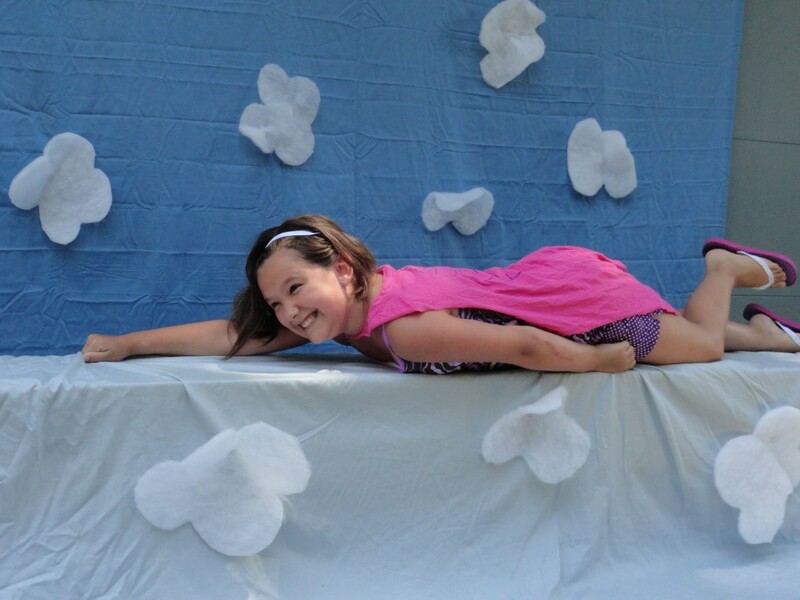 This entry was posted in Uncategorized and tagged captain underpants, Mentor Public Library. Bookmark the permalink.